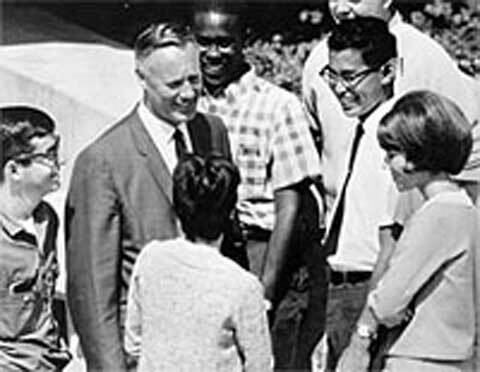 The UCI Medal was established by Chancellor Jack Peltason in 1984 to recognize those from the community and university whose dedication and generosity furthered the spirit and vision of UCI. Upon his retirement, Chancellor Dan Aldrich was awarded the first UCI Medal. In June 1984, the campus’s central park was named in his honor.